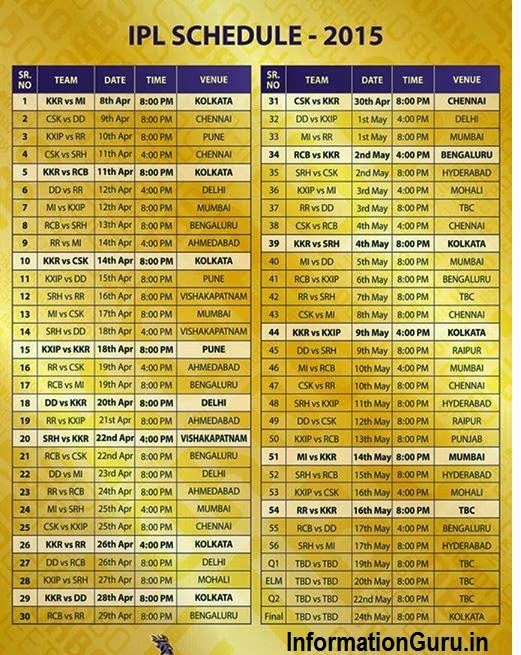 Indian Premier League T20 Season 8 2015 Schedule - Find IPL 8 schedule & match time table all IPL match innings with IST timings. The IPL Action will start from 8th April 2015 to 24th May 2015. Before this schedule you need to know the final list of players sold in IPL 8 2015 auction, which was held in Banglore at February 16th 2015.